The 2015 SEMA Auto Show is just around the corner and as the days go by, tuning companies that are going to be in attendance at the biggest aftermarket auto show in the world will be slowly unveiling some of their new products for the show. To get the ball rolling, Ford tuner Roush Performance has opened the lid on its latest masterpiece, the Trakpak program for the current generation Ford Mustang. There aren’t a lot of tuners out there who know the inner workings of a Ford Mustang more than Roush Performance. 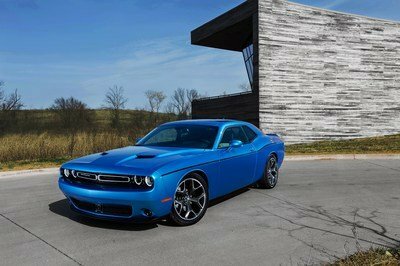 The new Trakpak kit is just another example of the company’s expertise in the muscle car, showcasing a balanced program that includes an attractive color option, useful aerodynamic additions, and most of all, enough engine upgrade variety to give would-be customers a chance to choose which one suits them best. 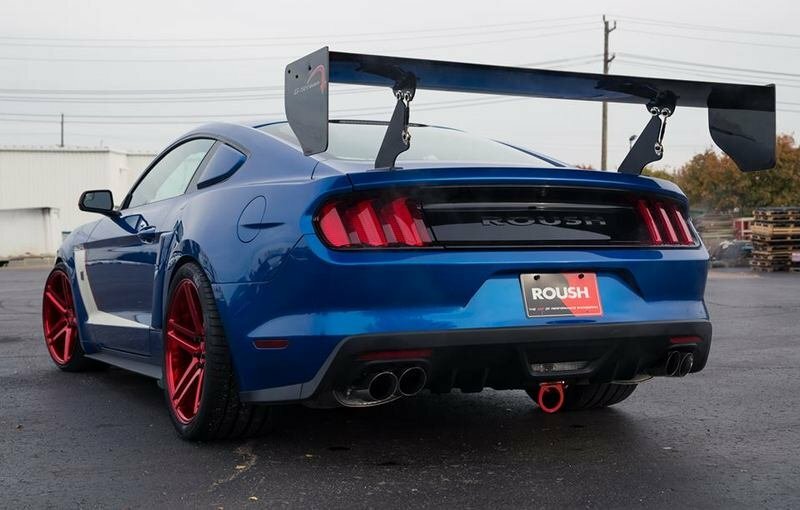 It’s this kind of versatility that has made Roush Performance one of the best Ford tuners in the business. 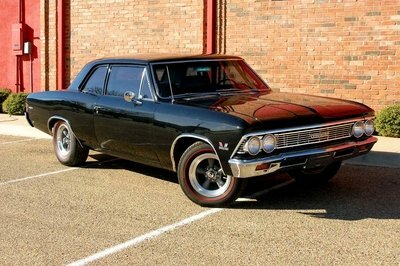 As you can see with this kit, there’s really nothing the company can’t do when it comes to the iconic muscle car. Continue reading to learn more about the Ford Mustang TrakPak By Roush Performance. The Ford Mustang gets treated with an overload of aerodynamic components, which makes sense considering that the meal ticket of the Trakpak program is the multi-stage engine modifications. 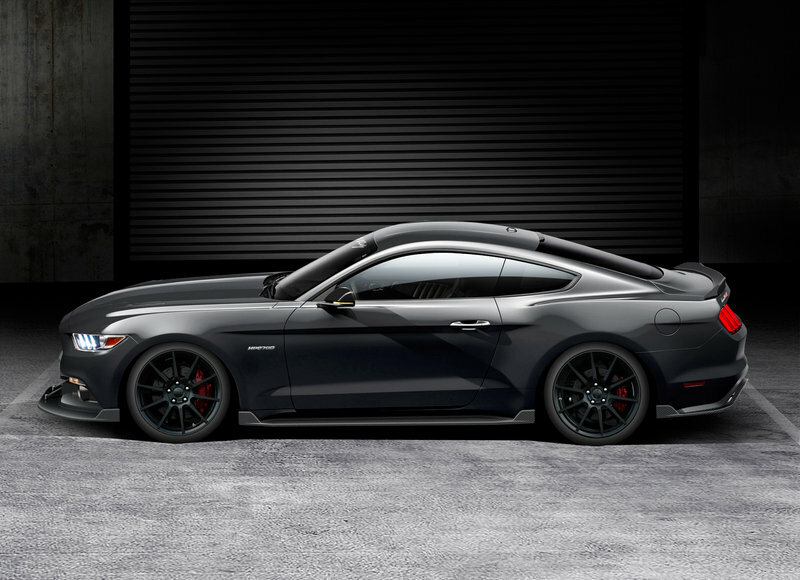 To handle all that added power, Roush gave the Mustang a comprehensive aero kit made up of an aggressive front splitter, extended side skirts, and a massive rear wing that extends well past the width of the muscle car. 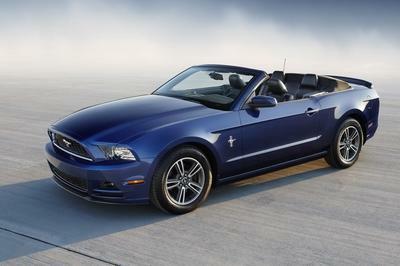 As far as the aesthetic upgrades go, the Mustang was given a polished blue exterior paint finish with complementary red and white colors on the mirror caps and the doors, respectively. Rounding out the exterior upgrades on the Mustang is a set of 20-inch, polished red Vossen VPS-302 forged wheels wrapped in Pirelli P Zero tires. As good as Roush Performance is in engine modifications, it’s the complete opposite with cosmetic upgrades, at least as far as the interior is concerned. It’s not that the company completely ignores the cabin because I’m sure there are a few aftermarket knick knacks there. But, don’t expect a full-blown makeover — if you do, you’re going to be disappointed. As far as this Mustang is concerned, there are no shots of the cabin yet so I can only imagine that Roush Performance doesn’t need to show anything out of the ordinary. Roush Performance pulled out all the stops on this Ford Mustang. Details are still sketchy on the programs Phase 2 and Phase 3 kits, but the aftermarket company’s Phase 1 kit is already on point, as it has been since April 2015. 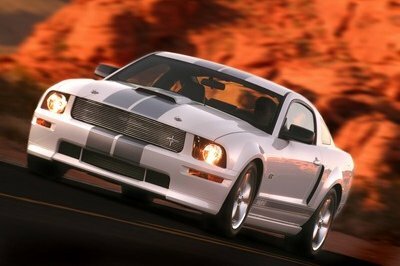 Back then, Roush released a video showing the Mustang in the middle of a dyno run after receiving a plethora of engine modifications. The Phase 1 supercharger kit is made up of a handful of components, most important of which is the 2.3-liter supercharger kit that’s responsible for creating incredible output gains out of the Mustang’s 5.0-liter Coyote V-8 engine. Roush installed the kit while also upgrading the fuel injectors and adding a 2.95-inch supercharger pulley and a revised version of its fuel pump booster kit. Once everything’s in place, Roush finished off the Phase 1 upgrade with some minor calibration enhancements to boost the Mustang’s output to 750 horsepower. 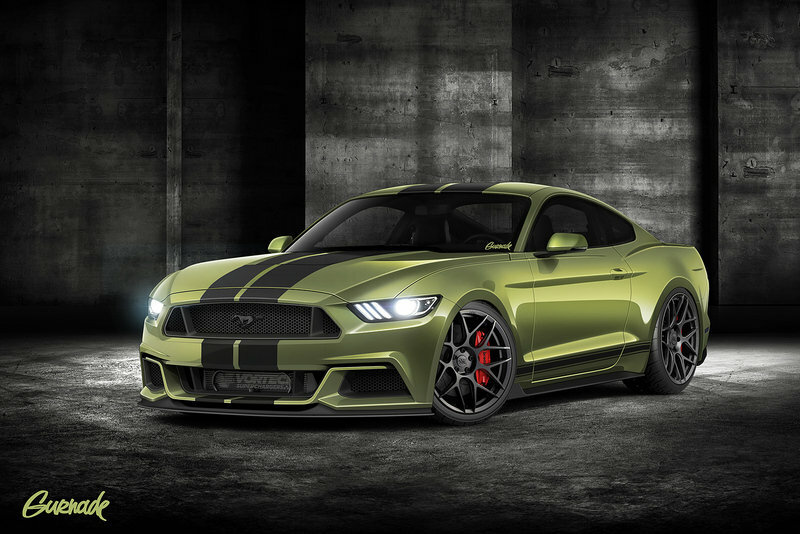 Here’s the interesting part: since details of the Phase 1 kit were released earlier this year, Roush Performance claims that the Mustang now has in excess of 850 horsepower at its disposal. 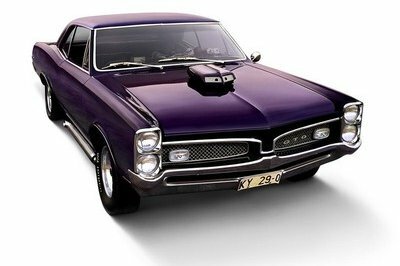 The tuning firm hasn’t said how it got to that number, but something tells me that it has something to do with either the Phase II or Phase III kit for the Ford muscle car. Roush hasn’t released the pricing details for its new Trakpak program for the Mustang. I don’t foresee the aftermarket tuning company spilling the beans until SEMA this November, so if you’re interested to know how much damage it’s going to cost your wallet, keep an eye on any announcements coming from Roush at SEMA. Ever since the current generation Ford Mustang arrived in 2014, there have been no shortage of tuning firms that have taken what Ford developed and took it to a whole new performance level. One tuning firm that was able to do this to great success is Vortech, home to some of the most advanced supercharger systems in the business. Vortech’s supercharger program for the Mustang is made up of a series of kits that each have unique performance upgrades. The mildest of them all, if you can even call it that, is the V-3 Si supercharger that brings the Mustang’s output up to 640 horsepower and 485 pound-feet of torque. If that’s not enough for your discerning taste, Vortech has the V-7 JT compressor that helps bring the output up to an incredible 1,000 horsepower. Think that’s it? You’d be wrong. Vortech also has the V-7 YSi supercharger that delivers a ridiculous 1,200 horsepower. There’s really only question after that. Is that big enough for you? Have you picked your jaws up from the floor yet? If you have, here’s another Ford Mustang program that’s sure to get your attention. It doesn’t have the same amount of power that Vortech can supposedly give, but I wouldn’t put it past Hennessey to come up with something as mental as that. In the meantime, the American tuner has the HPE 700 program for the Mustang. This kit can get as much as 700 horsepower out of the Mustang’s 5.0-liter V-8 engine, and while Hennessey only made 500 units of the car fitted with this tuning program, it’s still worth mentioning for the simple fact that anyone who’s in the market for a Mustang performance kit should know that Hennessey is always around to work its magic on the pony car. And, it does so all at a cost that’s arguably one of the most affordable in the business. I have always been a fan of Roush Performance. That’s been the case for a long time now and the aftermarket tuner has shown no signs of slowing down anytime soon. This particular kit is Roush Performance at its best. It’s not as fancy as some programs for the Mustang, but it gets the job done in more ways than one. 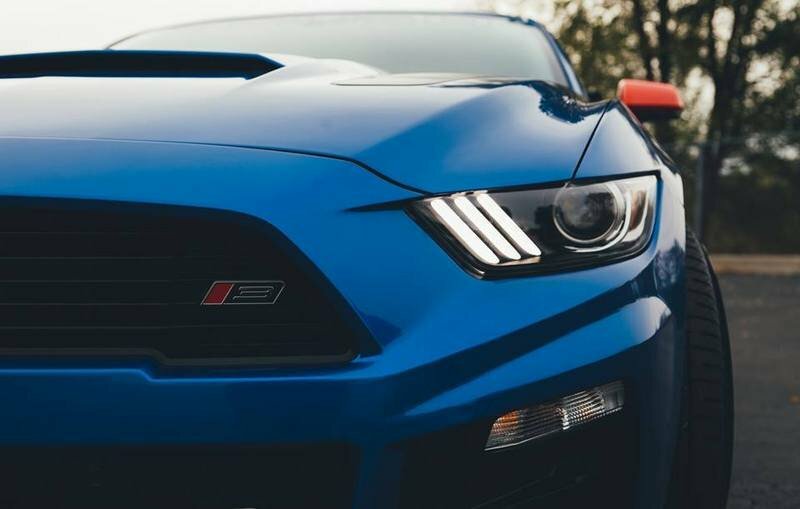 The Mustang looks great in that blue shade and the red and white complementary colors. But, the real treat is what Roush did to that Coyote V-8. 850 horsepower on a Mustang is no joke, people. That car can do a lot of damage. Did it ignore the interior?